Shoplifting or any theft is a serious misdemeanor. Store owners will press charges, and if you have any prior convictions, judges will come down hard. Entering a home, a garage, a car or a business can be charged as burglary, even if nothing was stolen. People accused of this crime often do not realize how much trouble they are really in and that such activity can be classified as a felony. Laura M. Baker, in Concord, North Carolina, aims to protect clients from the worst penalties for these common but serious criminal charges. Experienced criminal defense lawyer Laura M. Baker handles theft and burglary cases in Cabarrus County, Rowan County and Stanly County. Arrange a consultation today to find out if we can help. Unfortunately, most people confess to shoplifting when they are stopped by security guards and detained for questioning, before they have an opportunity to talk to a lawyer. It's worse news if you take even one step outside the store without paying for merchandise. It's now larceny, a Class 1 misdemeanor. If this is your first theft offense and you have a clean record, Laura M. Baker, will work for the best possible resolution of the charges; sometimes, community service may be an option. If this is your second or third offense, the judge is more likely to give jail time or at the very least, supervised probation. We can usually work out a deal for less jail or lesser penalties than simply pleading guilty as charged. 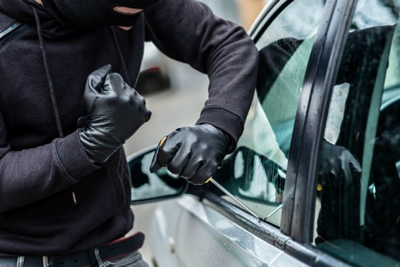 We have also represented people accused of burglary and related charges such as breaking and entering or receiving stolen property. Burglary is entering a building with intent to commit a crime, even an open garage or a door to a house or business left unlocked. If there are people inside at the time, or if you have prior convictions, it is a serious felony with likely prison time. We focus on the credibility of the evidence tying you to the burglary (fingerprints, surveillance video, witnesses) to try to negotiate to a lesser charge or reduce the sentence. Early involvement of a knowledgeable criminal defense attorney is critical to avoiding the worst consequences. Call our Concord office at 704-669-8165 or contact us online for a confidential consultation.